•Pilbara iron ore shipments of 338 million tonnes (100 per cent basis) in 2018 were two per cent higher than 2017. •During the quarter, Rio Tinto announced it had successfully deployed AutoHaul™ at its Pilbara operations, approved a $2.6 billion investment in the Koodaideri iron ore replacement mine, and approved an investment of $1.55 billion (Rio Tinto’s 53 per cent share $820 million) at two projects to sustain production capacity at the Robe River Joint Venture. •Bauxite production of 50.4 million tonnes in 2018 was one per cent lower than 2017. Third party shipments increased by two per cent to 32.8 million tonnes. During the fourth quarter, commissioning works at CBG in Guinea and the transition of operations from East Weipa to Amrun in Queensland resulted in a short term drop in production. •Aluminium production of 3.5 million tonnes was three per cent lower than 2017 due primarily to ongoing labour disruptions at the non-managed Becancour smelter in Canada. •Mined copper production of 634 thousand tonnes was 33 per cent higher than 2017, and above the guidance range, primarily reflecting strong performance at Escondida and increased production from Rio Tinto Kennecott due largely to higher grades. •Titanium dioxide slag production of 1.1 million tonnes was 15 per cent lower than 2017 due to production disruptions at Rio Tinto Fer et Titane in the second quarter, and intermittent stoppages related to labour disputes between contractors and their employees at Richards Bay Minerals in the first half. •Fourth quarter production at Iron Ore Company of Canada was four per cent higher than the fourth quarter of 2017. However, 2018 production was 20 per cent lower than 2017, due to a strike at the mine that significantly impacted second quarter production. •Other major milestones in the quarter included first bauxite shipment from Amrun, achieved six weeks ahead of schedule, and the signing of the Power Source Framework Agreement between Oyu Tolgoi and the Government of Mongolia. – The completion of the sale of our entire interest in the Grasberg mine in Indonesia for $3.5 billion, including a $0.1 billion attributable share of copper and gold revenues, net of our capital contribution for the year. – The completion of the sale of our aluminium smelter at Dunkerque, France for $0.4 billion, net of completion adjustments. – The completion of the sale of a wharf and land in Kitimat, British Columbia for $0.6 billion. – The completion of the sale of our coking coal assets for $4.1 billion. •During the quarter, Rio Tinto announced that it had entered into a binding agreement with China National Uranium Corporation for the sale of its entire 68.62 per cent stake in Rössing Uranium. Subject to certain conditions precedent being met, the transaction is expected to complete in the first half of 2019. •In 2018, Rio Tinto repurchased $5.4 billion of shares. This included an off-market buy-back tender in Rio Tinto Limited shares for $2.1 billion, and further on-market purchases of Rio Tinto plc shares of $3.3 billion. See page 11 for details. •In the first half of 2018, Rio Tinto noted the negative impact to EBITDA resulting from raw material input price inflation, particularly in the Aluminium business, and the escalation of alumina index prices which impacted its alumina legacy contracts. These trends have continued to be observed in the second half of 2018. Pilbara operations produced 337.8 million tonnes (Rio Tinto share 281.8 million tonnes) in 2018, two per cent higher than 2017, at the upper end of guidance. The production performance is attributable to the ramp-up of expanded mines and minimal weather events. Fourth quarter production of 86.6 million tonnes (Rio Tinto share 72.2 million tonnes) was one per cent lower than the corresponding quarter of 2017. 2018 sales of 338.2 million tonnes (Rio Tinto share 280.8 million tonnes) were two per cent higher than 2017, whilst fourth quarter sales of 87.4 million tonnes (Rio Tinto share 72.7 million tonnes) were three per cent lower than the same period of last year. 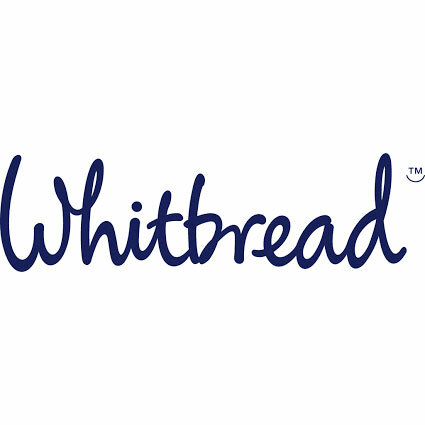 Approximately 17 per cent of sales in 2018 were priced by reference to the prior quarter’s average index lagged by one month. The remainder was sold either on current quarter average, current month average or on the spot market. Approximately 32 per cent of sales in 2018 were made free on board (FOB), with the remainder sold including freight. Achieved average pricing in 2018 was $57.6 per wet metric tonne on an FOB basis (equivalent to $62.5 per dry metric tonne). In 2017, the full year price achieved was $59.6 per wet metric tonne (equivalent to $64.8 per dry metric tonne). On 28 December 2018, Rio Tinto announced it had successfully deployed AutoHaul™, establishing the world’s first automated heavy-haul, long distance rail network. Since completing the first autonomous haulage run in July 2018, Rio Tinto has steadily increased the number of autonomous journeys in a controlled and safe manner, with over 1.6 million kilometres now travelled autonomously. The programme will now focus on optimising autonomous operations. On 29 November 2018, Rio Tinto announced the full approval of a $2.6 billion investment in the Koodaideri iron ore replacement mine. Koodaideri will deliver a new production hub in the Pilbara, incorporating a processing plant and infrastructure including a 166-kilometre rail line connecting the mine to the existing network. Construction will start in 2019 with first production expected in late-2021. Once complete, the mine will have an annual capacity of 43 million tonnes, underpinning production of the Pilbara Blend. Construction of accommodation facilities has commenced at site. A $44 million pre-feasibility study into Koodaideri Phase 2 was also approved in the fourth quarter. On 1 October 2018, Rio Tinto announced an investment of $1.55 billion (Rio Tinto’s 53 per cent share $820 million) at two projects to sustain production capacity at the Robe River Joint Venture. Approvals and commencement of works are proceeding to plan. Rio Tinto’s Pilbara shipments in 2019 are expected to be between 338 and 350 million tonnes, (100 per cent basis), subject to weather and market conditions. Following a plant fire at the port of Cape Lambert A on 10 January 2019, Rio Tinto expects limited disruption to Robe Valley lump and fines shipments, which is reflected in the above guidance. Bauxite production in 2018 of 50.4 million tonnes was one per cent lower than 2017 and at the upper end of guidance. Strong production at Gove and the Andoom mining area in Weipa was offset by lower production at two non-managed operations. The CBG mine in Guinea was impacted by planned tie-in works as part of the commissioning of the expansion project, and MRN in Brazil was affected by the Alunorte refinery outage. Fourth quarter production was 14 per cent lower than the corresponding period of 2017, reflecting the planned transition of operations from East Weipa to Amrun in Queensland, and the tie-in works at CBG. 32.8 million tonnes of bauxite were shipped to third parties in 2018, two per cent higher than 2017. Fourth quarter shipments were 19 per cent lower than the fourth quarter of 2017, reflecting the lower quarterly production. The Amrun project achieved first shipment six weeks ahead of schedule, with a total of nine ships loading 0.6 million tonnes before the end of 2018. Alumina production in 2018 was two per cent lower than 2017, primarily due to the timing of maintenance shutdowns. Aluminium production of 3.5 million tonnes was three per cent lower than 2017 and in line with guidance, which was revised during the year due to an ongoing lock-out at the non-managed Becancour smelter, which began on 11 January 2018, and a power interruption at Dunkerque Aluminium in the first quarter. Excluding these smelters, aluminium production was one per cent higher than 2017, reflecting continued productivity creep. On 14 December 2018, Rio Tinto completed the sale of its aluminium smelter at Dunkerque, France, to Liberty House for $0.4 billion, net of completion adjustments. Production of 0.2 million tonnes is reflected up until this date. Average realised aluminium prices in 2018 were $2,470 per tonne (2017: $2,231 per tonne). This includes premiums for value-added products (VAP), which represented 57 per cent of primary metal sold in 2018 (2017: 57 per cent) and generated attractive product premiums averaging $224 per tonne of VAP sold (2017: $221 per tonne) on top of the physical market premiums. The mid-west premium increased from $199 per tonne in 2017 to $419 per tonne in 2018. The starter tunnel at the Kemano project in Kitimat, British Columbia was completed in December 2018 and associated rail installation has commenced. The tunnel boring machine is forecast to be moved into the tunnel before the end of January 2019. The $0.5 billion project is due to be completed by late-2020. In December, the United States Treasury Department announced its intention to lift the sanctions implemented on various Russian individuals and companies on 21 January 2019. 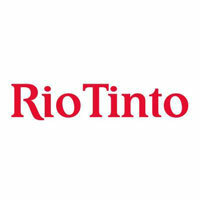 Rio Tinto continues to monitor this situation closely.